Each Saturday morning from 9-10 a.m., Rabbi Kennebrae facilitates a group exploration of the weekly Torah portion, incorporating traditional rabbinic, Hasidic, and contemporary interpretations, as well as the insights of participants. We seek to discover points of resonance between our lives and the Torah narrative, and lessons which might guide us in our daily lives and inform our efforts to repair the world. All are welcome; no prior background or knowledge required. On the first and third Shabbat afternoons of each month, West End members meet at 1:30 p.m. to explore the books of the Hebrew Bible (the Tanakh). Again, no prior background is necessary, and all are welcome. 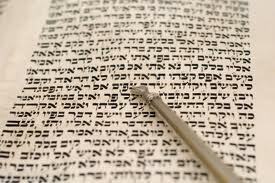 Click here to view the weekly Torah readings, and click here for resources including texts and recordings on chanting Torah and other Jewish sacred texts. This longstanding Adult Education group meets 2 times a month to study the Torah in English translation, in depth, considering it from the perspectives of literature, sacred text, religious mythology, family lore, psychology, drama, history, pop culture, and more.